This is very much akin to the dilemma a man faces when — under the slight sway of a light buzz in a scantily-lit environment — deciding whether a girl is “just perfect” or too [insert your negative physical quality of choice here]: since the launch of GM Authority, the team has been trying to figure out whether the Chevy Equinox is a midsize or compact crossover. See, the problem is that the Theta II-based vehicle is on the fatter larger side of compact CUVs, but the marketing folks at Chevrolet keep comparing it to crossovers in the compact segment — namely, the Honda CR-V and Toyota RAV4. Today, however, this quandary is finally put to rest thanks to a defining piece of information — this time straight from Chevrolet. 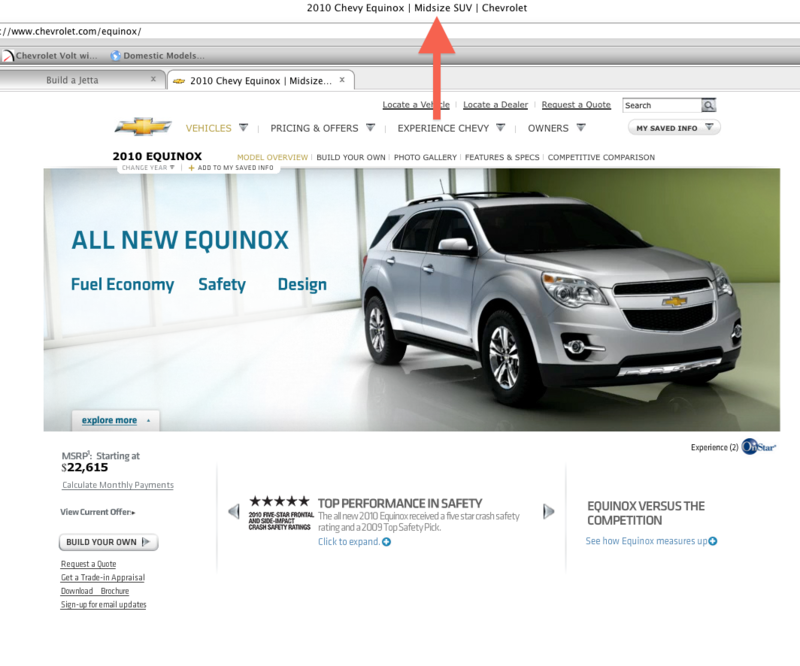 While browsing the Chevy website just a few short days ago, we noticed the title of the Equinox landing page, which read: 2010 Chevrolet Equinox | Midsize SUV (see screen shot below). That’s right — midsize. Not compact — midsize. From a utility perspective, this puts the ‘nox in direct competition with other midsizers such as the Kia Sorento, Hyundai Santa Fe, Toyota Highlander, Honda Pilot, Ford Edge, and Nissan Murano. So there you have it — the Equinox is a midsize CUV, fair and square. We’ll discuss what this may mean for the bow tie brand in a follow-up article. Stay tuned! 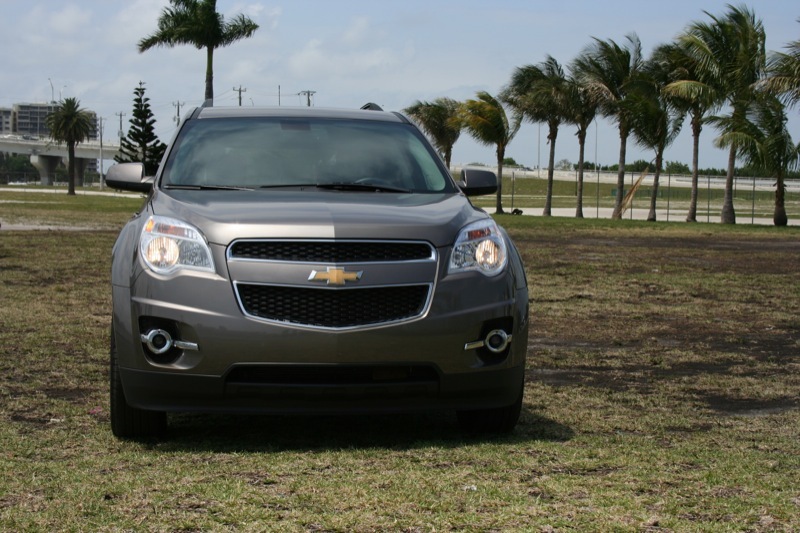 Update: it looks like Chevy has updated its website and the title of the Equinox landing page now reads 2011 Chevy Equinox | Fuel-Efficient Crossover SUV. Good thing we captured the old version of the site! Previous story Rumormill: Zeta-Based Chevy Monte Carlo/Lumina On The Way? Yeah hopefully this means ford can stop putting “class leading fuel economy” in their commercials for the edge. A small middle size perhaps. I mean the Acadia is a midsize, right? Heck no! The entire Lambda line is full size. The Traverse is a 5,000 lb beast that’s 3 inches longer than the full size Tahoe! If that ain’t full size, I don’t know what is. i guess it’s nice they finally made up their minds. especially considering that the Lambda cross overs are indeed bigger on the inside then the venerable Tahoe/Yukon twins.